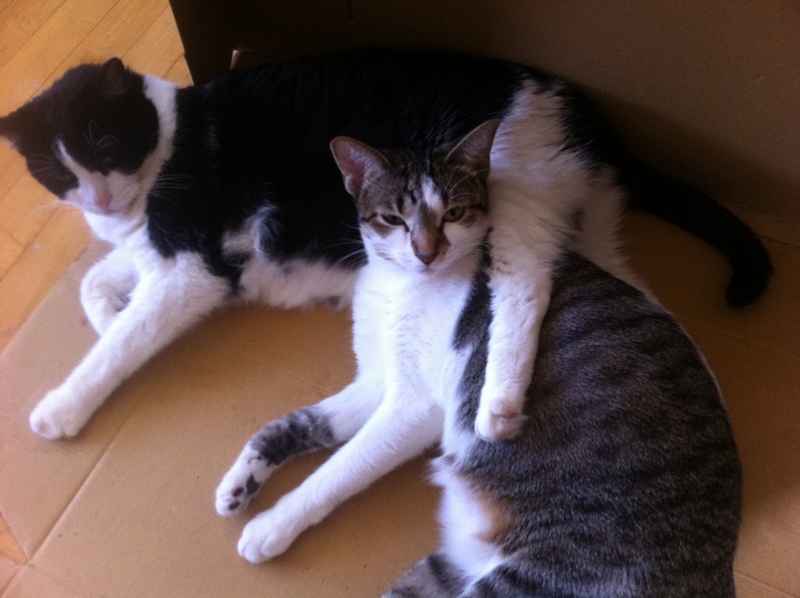 This week I’m shamelessly pimping out my cats, Aphrodite (the black and white one) and Hazel (the stripey one). Some of you already met Hazel during her happy dance debut. 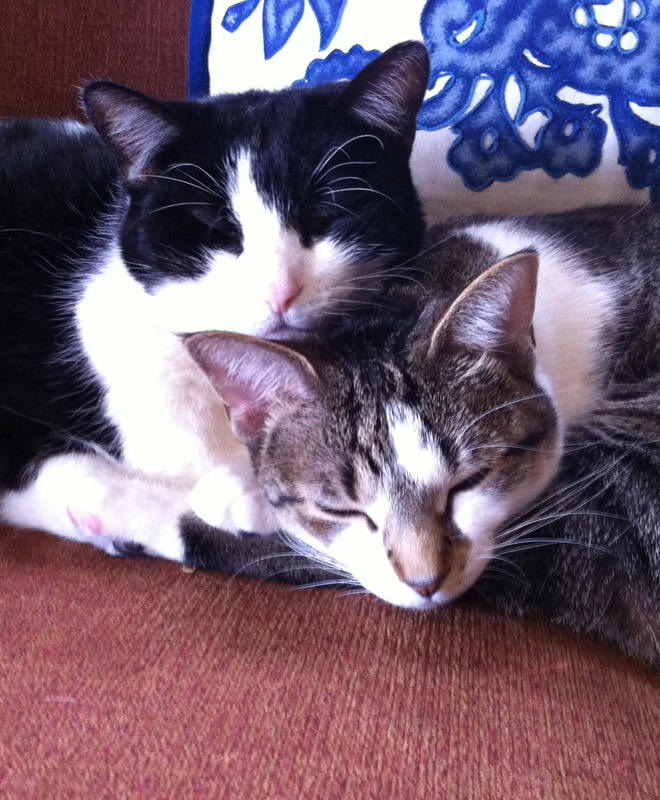 There are a few reasons for this obligatory cuteness distraction: first and foremost, I’m knee-deep in you know what editing my second novel, therefore my brain is fried; secondly, I’m a crazy cat lady; lastly, they’re really cute. Whether you’re into dogs or cats, furry friends teach us nonstop humans important lessons every day. 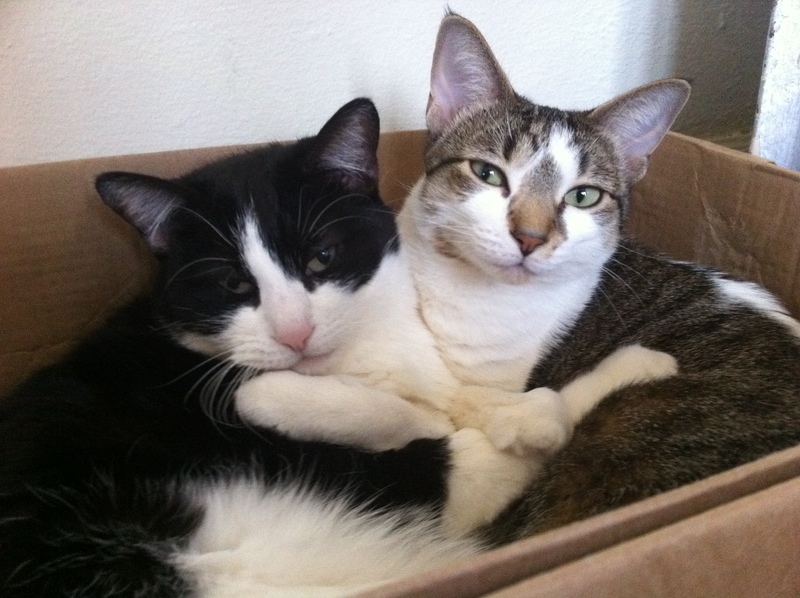 So, do what Aphro and Hazel do best and change the world with a cuddle. My own Miss Buggy gives me cuddle refresher courses every evening! I’m glad Miss Buggy is keeping up her end of the deal. LOL! Aww, Zoya. She sounds like a cutie. The world would be stale without pets. (: just wanted to join in the silly!